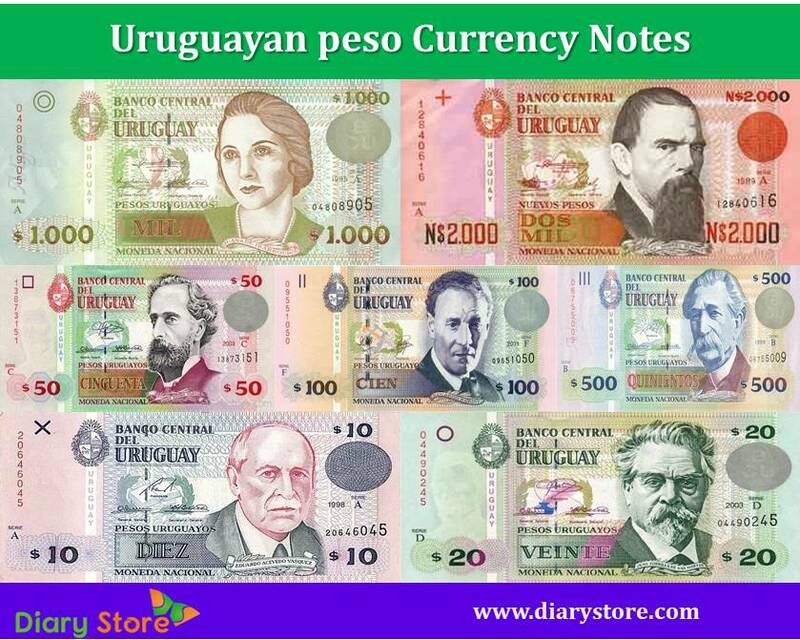 Uruguayan peso is the official currency of Uruguay; the name has been in use since Uruguay's settlement by Europeans. The current currency was adapted in 1993 and is subdivided into 100 centesimos. But currently centesimo coins are not in circulation.. On July 1st, 1975, the peso was replaced by the nuevo peso (new peso, UYN) at a rate of 1 new peso is equal to 1000 old pesos. The nuevo peso was also subdivided into 100 centesimos. Further the inflation had caused on March 1, 1993 the peso uruguayo(UYU)to replace the nuevo peso again at a rate of 1 new for 1000 old. 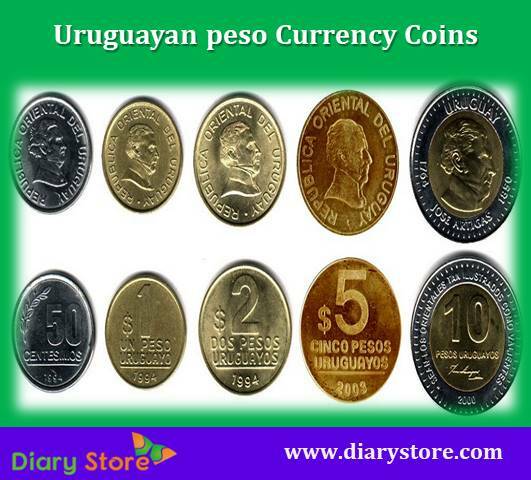 Regarding the coins, 10, 20 and 50 centesimos of stainless steel 1 and 2 pesos uruguayos of brass were introduced in 1994 and 5 peso uruguayo was introduced in 2003 and 10 peso uruguayo was introduced in 2000. The coins replaced the notes of the same value. In January 2011, new peso coins in denomination of 1, 2, 5, and 10 were introduced. The banknotes in denominations of, 5, 10, 20, 50, 100, 200, 500 and 1000 pesos uruguayos were introduced, in between 1995 to 1996. In 2003, 2000 pesos uruguayos were introduced. In 2003, notes 5, 10 have been replaced by coins. Later 5, 10 notes were withdrawn from circulation, with the introduction of the coins of the same value.